The Kremlin says that both Russia and the US are ready to better coordinate efforts to eliminate radical Islamists in Syria, following a telephone conversation initiated by the Russian leader. 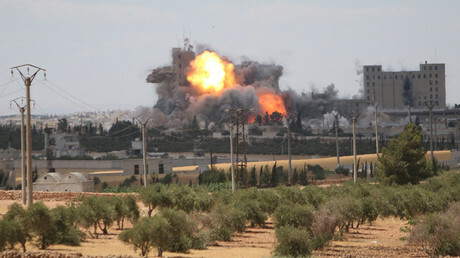 According to media reports last week, US officials have put forward a proposal that would see Russian and US air forces conduct joint strikes against Al-Nusra Front, an Al-Qaeda branch in Syria. So far, Russia has not commented on the reported initiative, which has supposedly been endorsed by both the Department of State and the Pentagon. Washington hopes that as well as confronting radicals, the plan will help the two sides to agree on their definition of which forces should be included in the ceasefire, which was adopted in February. Vladimir Putin has repeatedly accused Al-Nusra of operating under the label of “moderate” rebels, and he returned to the topic in the phone conversation. “Vladimir Putin called on his counterpart to separate, as soon as is possible, the definitions of moderate forces from Al Nusra, and other extremist groups,” said the statement. 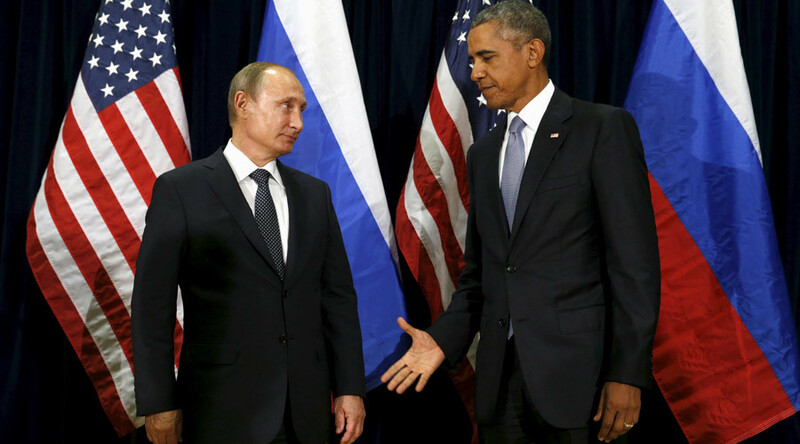 Obama and Putin also discussed the smoldering conflicts in countries which previously formed part of the Soviet Union. The Kremlin said that Obama “gave a positive evaluation of Russia’s efforts” to mediate the conflict between Armenia and Azerbaijan over Nagorno-Karabakh. Baku and Yerevan have been caught up in conflict over the territory since the late 1980s. It ‘froze’ in 1994 after a ceasefire but violence broke out again in May this year. In June, St. Petersburg hosted talks between the leaders of the two nations and Vladimir Putin.